the distress will be great. and extreme weather events will strike many places that are densely populated: 50 percent of Americans live in coastal regions exposed to storms and sea level rise, 70 percent of Americans live in cities prone to heat waves; major inland cities lie along rivers that will swell to record heights, and the fastest growing part of the nation is the increasingly arid West. in both time and place. 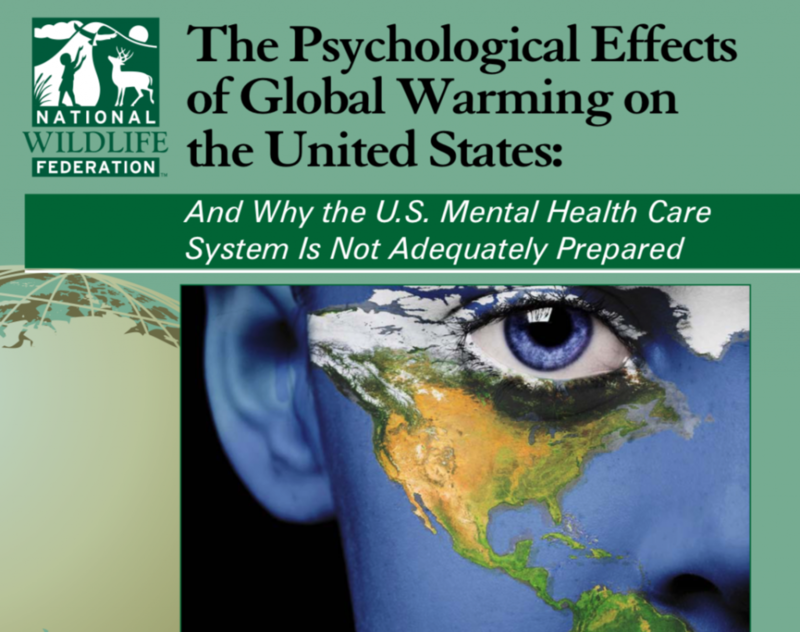 A lack of knowledge about the basics of climate change, the “point of no return” consequences of reaching atmospheric tipping points, along with innate psychological resistance are major impediments to fully grasping how dire the consequences can eventually be. is common. For this reason research, based on self-reporting, indicating that Americans do not worry about climate change is unreliable and likely underestimates the actual numbers. • Children: America’s 70 million children will not only suffer long term effects from climate change but will also experience acute reactions to natural disasters and extreme weather events. Some children are already anxious about global warming and begin to obsess (understandably) about the future, unmoved by the small reassurances adults may attempt to put forth. would cause many more deaths in drought ridden Australia. The doctor who treated him has seen other children suffering from climate related anxiety disorders. A body of research showing how distressed Russian and U.S. children were by the threat of nuclear bombs during the cold war era underscores the potential for global climate change to have the same destructive impact.